The Marketing Agenda in the Internet. Part 2: Dancing with the Stars? The Marketing Agenda in the Internet Age. Part 2: Dancing with the Stars? In my first contribution to Marketeer’s Digest I outlined ‘chess game marketing’. In this second contribution I work this out further, bearing in mind three key themes of modern marketing: attention, speed, and risk. I will begin by concentrating upon the influence of attention. The elements of speed and risk, along with their effects on the organisation of marketing, will be discussed in future articles. The average person must now deal with many more messages and other sorts of digital communication every day than a person ten years ago. The key question that naturally follows from this is how you as a company can attract attention or empathy from customers by communicating amid this chaos. How can you ensure your message reaches the customer, that it is remembered and that it is then acted upon? How can you prevent someone from returning to his standard browsing behaviour while being constantly bombarded by messages from others which are reaching him all the time? The company gets still less time with the customer to convey his message in the real-time economy. This places extremely high demands upon the communication of the market message, since the attention of the customer has become an extremely scarce resource. Marketers must always search for new ways to reach potential customers and seek to catch their attention at the moment they are taking the decision to buy. Likewise, companies must learn the correct ways to pay attention to their customers. Take the example of how the Dutch clothing brand G-Star (jeans and clothing) became so prominent by developing designs that remain distinctive, recognisable, modern or timeless. Their communication with customers rejects unnecessary information and keeps its message short and to the point: “our clothing makes you beautiful and accentuates your strengths”. By this method they have conquered the world from Tokyo to New York. I wonder whether the new Dutch brand Denham will have as much success in as short a time with their contemporary and recognisable collection. Their first foreign store, located in Osaka, Japan, has already recorded its first successes and looks likely to have many more to come. Research performed from 2005 and onwards has indicated that existing mass media advertising quickly loses its effectiveness. Consumers are no longer dedicating so much attention to media consumption, and as a result less time is available for commercial messages. The drastic increases in advertising budgets in recent years fit this pattern well. Classic marketing is increasingly losing ground to smart, cheap and interactive relationship-based sales. Being able to relate to different customers in different ways connects much better to market segmentation than more traditional formats. The marketer today must maintain focus on messages relevant to the customer. For example the context of information, from on the spot to devices and digital channels such as TV, radio or social media, can be considered carefully in a so-called ‘multi-channel’ strategy. This challenge is incidentally more difficult in the consumer-to-business market than the business-to-business market, which is itself more difficult in retail and transaction-oriented businesses than in relationship-based contexts. Another medium sized player in the Dutch food market, Food Sense BV, demonstrates this point well by its own success. The mastermind behind a campaign for healthy and tasty products for children from 4 to 99 years, promoted by the cheerful symbols of two friends Fred and Ed (www. fredened.nl), this company sells a range including spreads, drinks, cookies, rice cakes &c. 8 years ago it started small and smart by deploying a multi-channel strategy with early emphasis on TV advertising but also a distinct presence on social media sites, featuring fun activities, prices &c. It was clever, accessible and uncomplicated, and without a titanic marketing budget gained a fantastic reputation. Today its products can be found on the breakfast table in almost every Dutch household. Moreover, it seems that in terms of Internet marketing, so-called ‘permission-based practices’ have been the most successful: let the customer choose for himself what he wants to hear from your company. The more attention you ‘earn’ by providing relevant information for the customer at the right time, the more they will come to trust you and the more attention they will be willing to spend on you. Getting attention and driving communication is not only an objective determination of a company’s market power. Both for consumer-to-business and for business-to-business marketing, a winner’s image is a second requirement to get the attention of the customer. Branding, focus and repetition focussed on market reputation all aim to create a winner’s image with which customers and business partners will be more willing to associate. On the Internet you create your company’s front yard, you choose the brand that defines you and you present it in a way that aligns you with popularity and success. A this early stage it is this association with success, not your raw assets, that are of paramount importance. The increasing importance of partnerships between companies now also has a direct impact on marketing. To be admitted to a successful business community works wonders when developing a winner’s image. No-one wants to be associated with a loser. You want to be a part of the success of the people with whom you work. On the Internet, ‘unknown’ and ‘unloved’ are virtually synonymous. The ability of an enterprise to network is thus part of its marketing success, indicating as it does the fact that it can be trusted. The winner tends to take all in the digital world. This means that, as part of a marketing strategy, market share and pushing forward one’s own products as the dominant standard should be much more present than they were a few years ago. Companies such as Microsoft and Apple are particularly well-known for this. Software available to download for free over the Internet is frequently another example. Focussing not only on consumer attention and visibility, this strategy seeks to set technological standards in the hope of developing a user ‘lock-in’. As an example, Amazon’s e-reader, the Kindle Fire, was put on the market, for which all the necessary software was free to download, also being available for smartphones and iPads. Free books are also available through the device where no valid copyright exists, although many more are available which must be purchased by the customer. Forming new combinations between free and non-free products and services is actually an ancient practise in marketing. This sort of bundling merely uses Internet technology to take a new shape and to vastly increase volume. Regardless of what you sell, how you sell it and where you sell it is essential that you establish a clear brand with which your customer will want to associate. Without a brand you have no chance of catching the attention of the customer and you have no hope of developing the sort of brand loyalty that will keep your customers coming back to you. The question however is how to ensure a brand continues to grow and thrive. It would be a big mistake to think that this applies only to large companies: in fact, this couldn’t be less true. Take a look at what happened to Rituals, a small Dutch company founded in 2000 specialising in natural beauty products for body and mind, produced without animal testing. By pure coincidence KLM, the national airline, came across their marketing, took an interest in their products and, following testing, decided to adopt them as standard, resulting in a huge success for such a small player. Rituals has since grown into a success story of international stature: it has 220 ​​stores worldwide and continues to surprise us with new products such as clothing, fragrances and color cosmetics. All that in just 10 years! An effective means to get the most out of casual browsing is association with celebrities. Rolex with Roger Federer and former Yehudi Menuhin for example, Heineken with James Bond, and Burberry with Emma Watson. The city of Rotterdam with its Erasmus Bridge sponsors the Tour de France and the Dutch model Doutzen Kroes, the next Victoria’s Secret Angel, is currently the face of French cosmetics brand L’Oreal. Reputation is everything: what is not seen does not exist. The list is endless. My message to you is that, more than ever in the overload of information found in our digital age, “what is not seen does not exist”. The effective “way out” is branding and association with celebrities, usually through sponsorship. This applies equally to enterprises large and small. In addition to this, you must become a local company to ensure that you are part of the local ecosystem. This involves many of the same mechanisms, though it will be discussed in more detail in a later article. This leads to the question as to how you, as an entrepreneur, can get the customer on board and, once he has heard your message, ensure that he really listens and acts accordingly. First, you must accept that the customers are your best evangelists. They spread the word. They can bring your brand strength, just as they can make it weak. Every public action you make must be thought about very carefully. McDonalds is a great example of how this can work and equally of how it can fall apart. Their twitter campaign in the U.S. involved talking about the high quality of their ingredients, encouraging the attention of their customers with the ability to share good experiences. McDonalds however failed to consider that those same customers were equally able to share bad experiences, and attracted still further attention with the speed of their reactions and interventions, perhaps causing even more damage. What is the lesson from this incident? Think carefully about the design of campaigns such as these; a deep understanding of your brand value is vital before you can even think about stunts such as this. Marketing and sales campaigns should always be in line with the values of the brand. Those that are not will be unable to tolerate the customer and will generally cause damage to your business. If you establish a brand that places a high value on each individual customer, for example, you cannot start a campaign by sending all your customers a standard brochure. Such an action would not fit with how the customer sees you and in fact undermines the values of the brand that you care about, in this case customer trust. Hence follows another success story from the Netherlands: Jumbo supermarket. They set out with an ambition to be a supermarket for everyone, achieved by the simple formula of remaining simple, transparent and understandable. Their campaigns send simple messages: they are cheap, they offer service with a smile, their produce is fresh, queueing for the checkout is quick and smooth, and refunds are available for those who are dissatisfied. At Jumbo these values are really central to the operations of the company and do not exist only on paper. Are you a small supermarket somewhere on the outskirts of Krasnoyarsk? Perhaps this example can be an inspiration for you to grow and improve your performance, just as Jumbo continually does, year on year. ‘Dancing with the stars’ is a wonderful metaphor for branding in the real economy. In its namesake television programme professional dancers perform routines with celebrities, and the program has had a great deal of success in countries including the Netherlands, Germany, the UK and Russia. Why? The celebrities act as magnets for attention, creating a brand and providing ratings which in turn increase revenue through advertising. Curiously enough, the professional dancers, those who provide the actual ‘product’ draw hardly any attention to the programme. So it is with a company. You can make beautiful things, but if you are not seen, you sell nothing. Branding is a powerful solution, and can be your route to the stars. Do you want to dance with the stars or become a star yourself? It is entirely up to you! I am a blogger outreach service provider. If you are looking to get published on high authority blogs with a backlink to your website to add more Search Engine value to your website, then we will create a great opportunity for you. 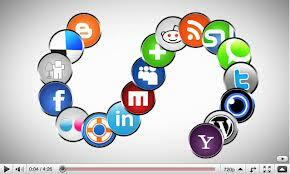 I will write and publish a post there with a dofollow backlink to your website.